News Flash: Contracts, Invitations, and a Cover Reveal! Congrats to Nat, who won the copy of Katie Coyle’s VIVIAN VERSUS THE APOCALYPSE last week! Lisa Alber was invited to participate in a local reading series sometime around her launch in March. She loves that the invitation came as a surprise and through a local writing peep. Word-of-mouth at its best! Susan Gloss got the contract in the mail this week for the Spanish version of VINTAGE! Lori Rader-Day was elected the vice president of the Midwest Chapter of the Mystery Writers of America! She plans to be a benevolent overlord, but she can’t speak for recent Deb guest author Clare O’Donohue, who will serve as president. 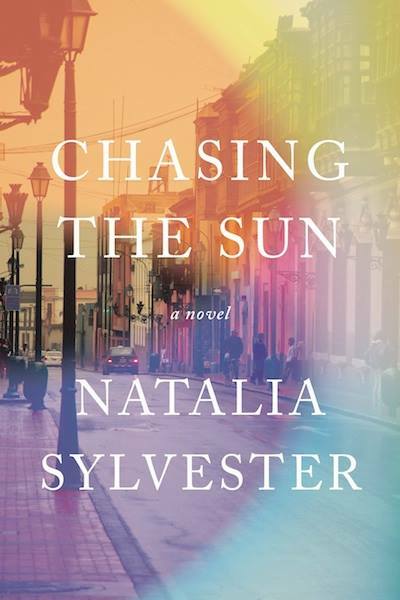 Natalia Sylvester finally got to share the cover for Chasing the Sun this week! Will she ever get anything done now that she can’t stop staring at it? Heather Webb is getting ready for the release of BECOMING JOSEPHINE–it’s right around the corner! From Founding Deb Mia King/Darien Gee: Hi everyone! Amazon is featuring my holiday novella, An Avalon Christmas, as a FREE exclusive download from December 19-23, 2 013! If you’re looking for a great read to cozy up with, take a peek: http://www.amazon.com/An-Avalon-Christmas-Darien-Gee-ebook/dp/B00GFRJSGO. Happy holidays to all! Natalia, that is a great cover. Exciting to hear the news! I’m so enjoying these posts.